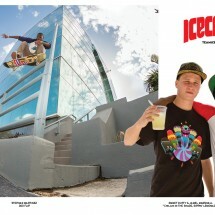 Check out the new ad this month in Thrasher and Focus magazine. Dre with the backtail in Bushwick and Jamel with the shape up just up the street at Bernard's. Get the latest issue of Focus to read Emmet's new interview. Yes, that's a switch front crook! If you missed it, peep Emmet murk the Uprise warehouse below. Yesterday was Dre's birthday, today is Emmet's. Happy Birthday to the kids! 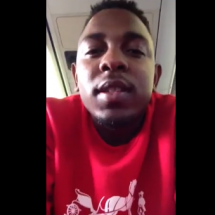 Enter to win a trip to see Kendrick Lamar at the ICECREAM Social at SXSW! Team ICECREAM rider Emmet Duffy kills the Uprise Skate Shop Warehouse in his hometown Chicago. 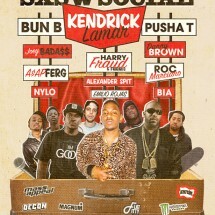 Don't miss the ICECREAM SXSW SOCIAL, featuring Kendrick Lamar and friends! March 15th at 7pm, Austin Music Hall. RSVP here: http://massappeal-icecream.splashthat.com/ Also, don't miss our signing with Kendrick at Zumiez on the 14th! 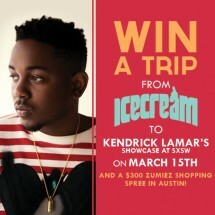 ICECREAM and Zumiez are giving you a chance to see Kendrick Lamar live at South By Southwest March 15th in Austin, TX. Click here to enter! Check the raw pics from the latest ad. 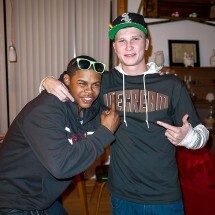 Emmet and Jamel were definitely chillin! Check the new ad below. 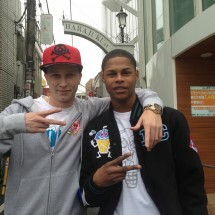 Stephan with the big tre in MIA! 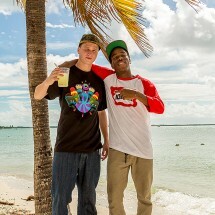 Watch the footage in the Chi-town/MIA video below. Peep Emmet's interview over at Hustleoverflow.com!